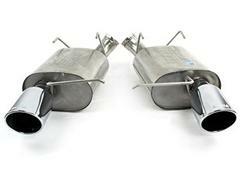 If you are looking for a Mustang exhaust to give your car that true American muscle car sound, Late Model Restoration has just what you need! 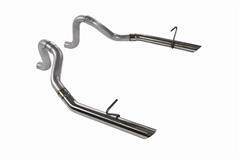 We carry a wide variety of exhaust kits, components, and hardware to get your 1979-2016 Mustang sounding great. 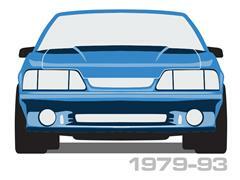 Whether you have a Fox Body, SN-95, New Edge, S197, or S550 we can help improve the sound, power, and performance of your Stang. 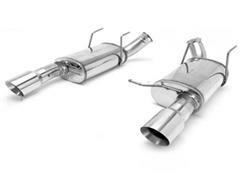 Take your pick from cat back exhaust systems, axle back kits, long tube headers, shorty headers, h-pipes, x-pipes, tail pipes, exhaust tips, mufflers, and all of the necessary hardware to get it all installed quickly and easily. 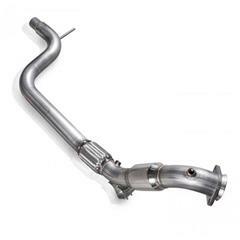 Our Mustang exhaust components are offered from top manufacturers in the industry such as SVE, Flowmaster, Bassani, Magnaflow, Pypes, Ford Racing, SLP, JBA, Roush, MBRP and Corsa. 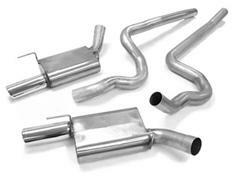 A Mustang cat-back exhaust kit directly replaces your exhaust pipes, mufflers, and tips from your mid-pipe back. 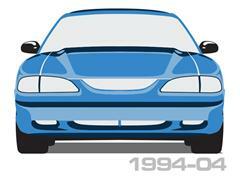 These bolt on kits are a popular upgrade for 1979-1993 and 1994-2004 owners. 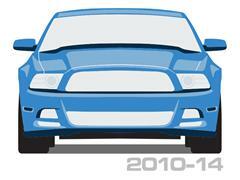 Got a 2005-2016 Mustang? 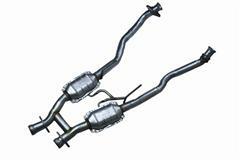 Add an axle back to your S197 or S550 for a deeper sound and better performance. 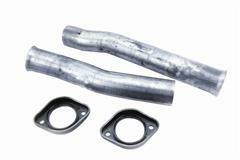 These kits bolt up to your stock exhaust and are easy to install. 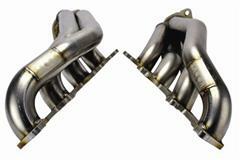 Get even more power by replacing your stock manifolds with performance shorty or longtube headers. 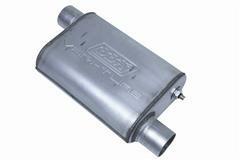 These headers are larger in diameter to flow more exhaust gases faster than OEM manifolds. 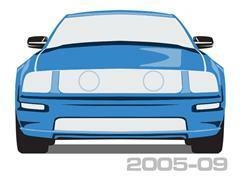 Finish it up with an offroad or catalytic h-pipe or x-pipe and a set of tail pipes for the perfect look. 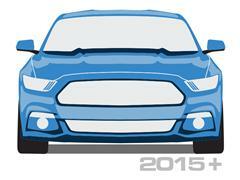 Don't forget to pick up all of the necessary hardware to get these kits installed onto your Mustang! These parts fit 1979, 1980, 1981, 1982, 1983, 1984, 1985, 1986, 1987, 1988, 1989, 1990, 1991, 1992, 1993, 1994, 1995, 1996, 1997, 1998, 1999, 2000, 2001, 2002, 2003, 2004, 2005, 2006, 2007, 2008, 2009, 2010, 2011, 2012, 2013, 2014, 2015 and 2016 Mustangs.